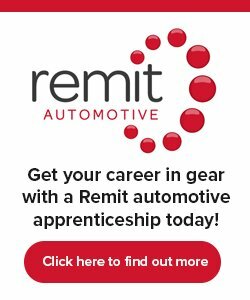 As part of our next intake of apprentices starting in August we are now looking for a Digital Marketing Assistant join our Automotive team. Haymarket’s Skills Academy is now in its fifth year, providing unparalleled opportunities in media. Our award-winning apprenticeships are a fantastic way to gain industry experience whilst also receiving an accredited qualification. Haymarket Media Group is one of the world’s leading international specialist media, tech and information companies. Haymarket operates more than 70 market-leading brands created by world-class experts in locations in the UK, the US, Hong Kong, Singapore, India and Germany. Our brands connect millions of highly engaged people across digital, mobile, print and live media. We are a company who are defined by our values and we are committed to supporting all our people to develop themselves and achieve their potential. The Marketing Assistant will work as part of a team responsible for creating marketing strategies & plans that will enable us to grow audience and revenue across the various marketing channels and meet key success metrics for the Automotive division. This role will give the opportunity to be exposed to the full marketing funnel from acquisition to retention. Support the Live Events Marketing Manager to delivering flagship events to cement our market leading position within the automotive industry. Manage digital marketing campaigns (including updating of databases and research) that drive audience engagement around events i.e. create email marketing programmes & social media outreach to attract awards entrants & attendees. Work with editorial, product management and commercial teams to develop and manage sponsorship activation across all live events. Support paid marketing activity (PPC, Social Media, Display) whilst learning and gaining hands-on experience using Google AdWords, Bing, Facebook Ads Manager, Photoshop, Google Analytics, WordPress and other digital platforms. Assist in the analysis and creation of marketing reports and insights. Liaise with affiliate’s invoicing and payments. Housekeeping reports, invoices, and digital admin documents. Assist with following-up on websites that have unlinked mentions of What Car? Contribute to central marketing reporting – pulling together performance data and assessing against goals – providing positive return on investment through KPI’s and performance metrics. Seek out new marketing opportunities that fit with the brand and maximising all opportunities for growth. We are based in Twickenham, which is a quick 20 minutes from central London, and easy access from Surrey. The Apprenticeship Scheme is based on a Fixed Term Contract and is 15 months long. You get to Earn as you Learn! – We offer a competitive starting salary of £15,000pa. The apprenticeship qualification is covered and paid for by Haymarket as part of the Apprenticeship Levy scheme. You will attend regular sessions with your apprenticeship provider, to assist you in gaining your qualification. The apprenticeship training accounts to around 20% of your working time. In addition to the Apprenticeship Qualifications, you will also have the opportunity to attend Haymarket’s in-house, specialist training sessions to aid you further in your role. At the end of the apprenticeship, our Skills Academy team will assist you with careers advice, CV writing, and Interview Skills. We work a 35 hour, full-time week, with the option of Flexible Working hours and support a friendly, creative and collaborative culture, reflected in our open-plan working environment. Benefits include 25 days Holiday, rising by 1 day per year up to 30 days, Pension,, Life Assurance, Health Cash Plan/Private Medical Insurance, plus voluntary benefits such as Ride to Work, Season ticket loans, Gym and Health lifestyle rewards and discounts on the high street.